This delightful South Shore condo had the perfect location and everything you will need for a fantastic Tahoe vacation. 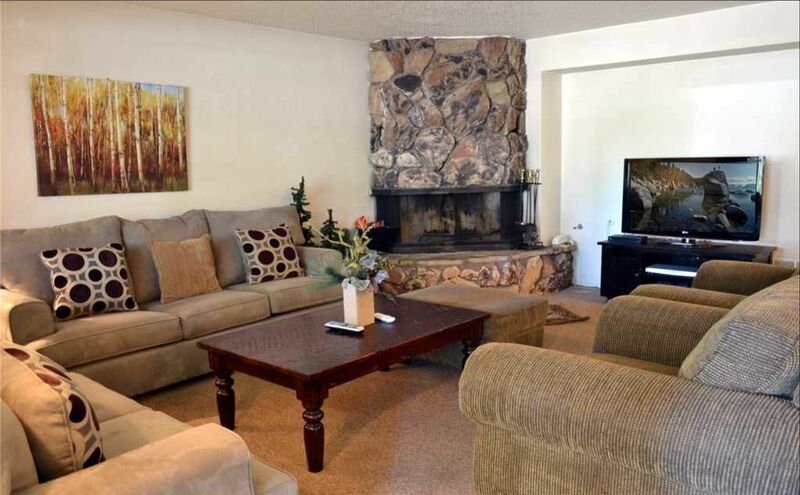 Sink into the over sized living room furniture in front of the fireplace and 42 in flat screen TV. The fully equipped kitchen has a passover breakfast bar. A private patio is just out the sliders in the master bedroom. During your stay, you will have access to the Villages community Wi-Fi, hot tub, summer pool, and the BBQ pits. Located within walking distance to the Lake and its beaches and is only a 1 mile drive or taxi to the casinos and Heavenly Village. Sorry this condo does not have A/C! Q, Q, T, T, Q SLEEPER SOFA VHR- 4179. Everything is good, except the master bedroom's toilet cannot flush! We're so glad you enjoyed your stay!!! We apologize that there were some issues with that toilet, but appreciate you taking the time to notify us. We sent a plumber out right away and got it all taken care of.